Celebrate all of life's little helpers with this Ganja Vice Canisters. 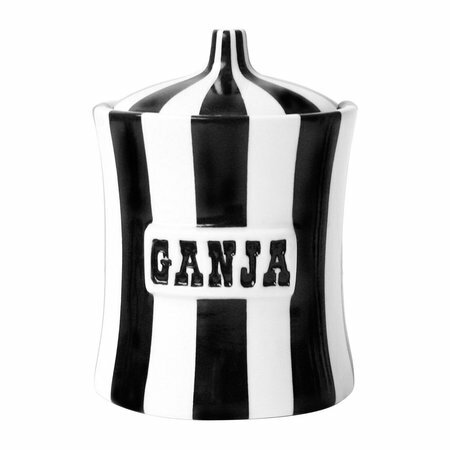 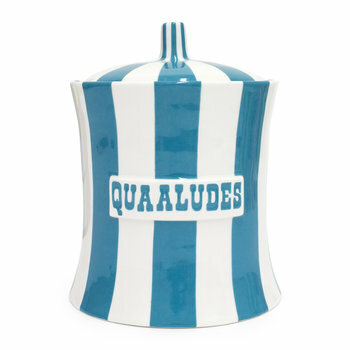 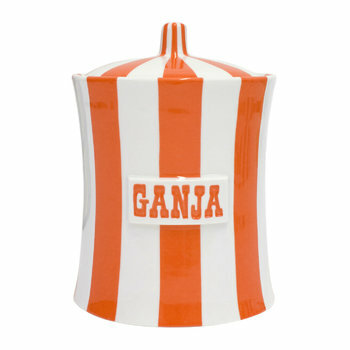 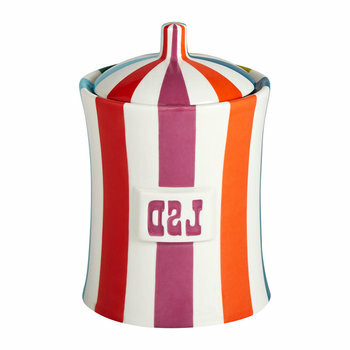 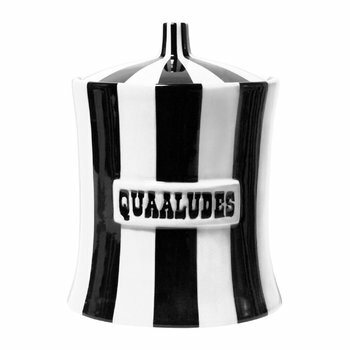 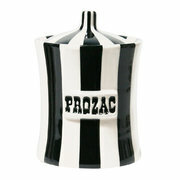 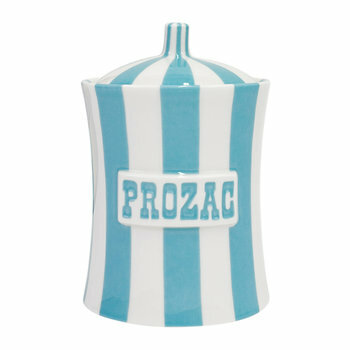 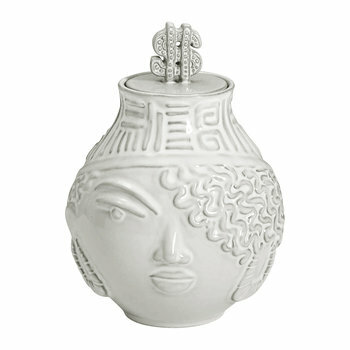 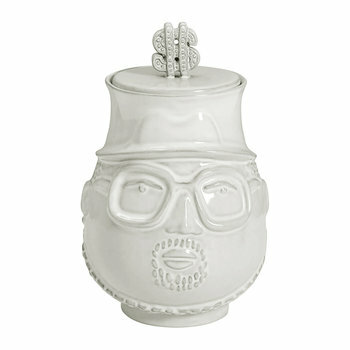 Crafted from white porcelain and glazed with rich hues, this canister has been adorned with a striped design and finished with “ganja” written across the front. 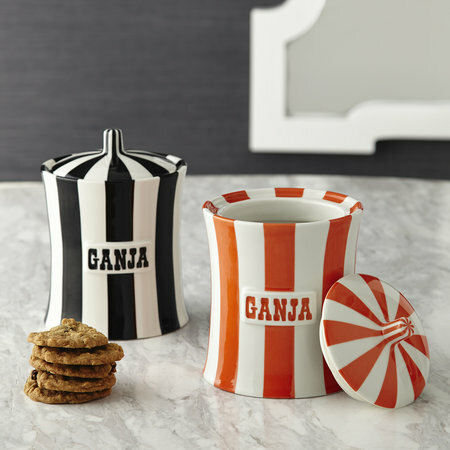 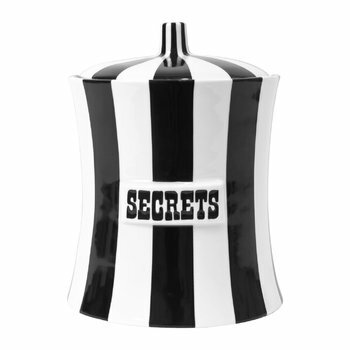 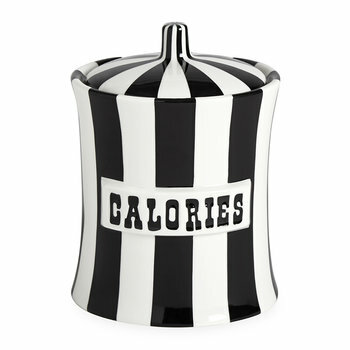 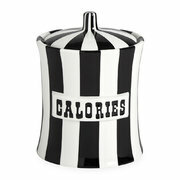 Ideal for your kitchen countertop, this canister looks wonderful when paired with complementing pieces available separately from Jonathan Adler.